Advertisement campaigns are more than often carried out in full swing. With numerous ads doing the rounds, it becomes difficult to make your advertisement stand out in the crowd. This has resulted in individuals being apathetic towards ads. But, you being a businessman, cannot afford to avoid marketing your products and services, and for that, you need to spend quite some money. But what if those ads go unnoticed by people? All the money spent on marketing goes to waste. Don't worry, you can market your products and services effectively, that too at a much lower price, through giant inflatables. The giant inflatable is just the perfect way of being noticed in a world cluttered by ads across various mediums. These have evolved as an effective tool in the world of advertisers. Marketers all over the world are opting in increasing numbers for the inflatable. People really do not have time nowadays. They are always rushing to one work or to another. Under such circumstances, who will notice your advertisement among a busy street? 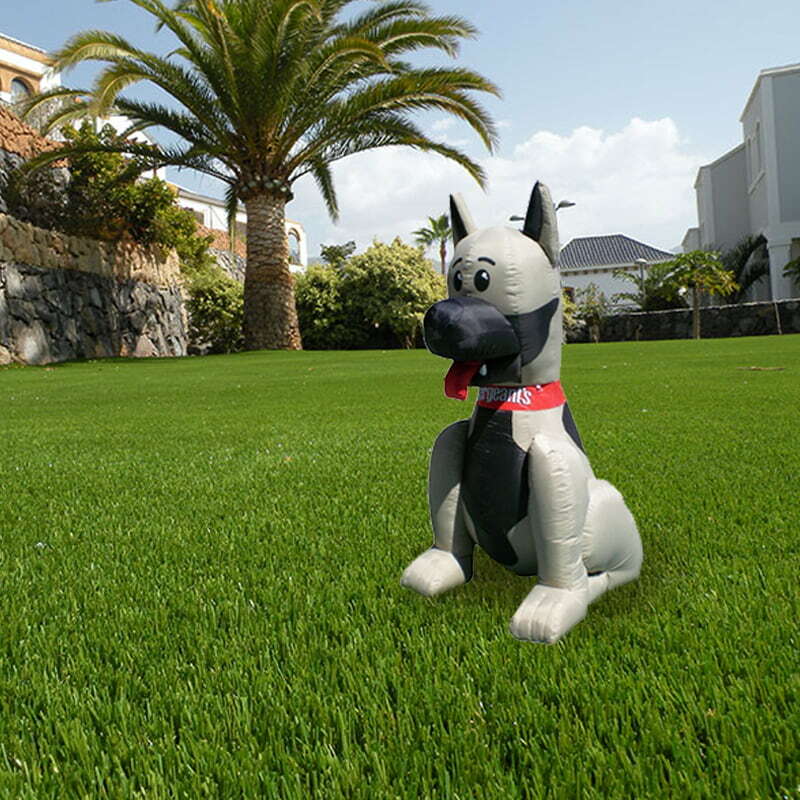 But there is one way in which you can stand out and that is by taking help of a 20 feet tall replica of your product in the form of advertising inflatable. Several marketers from all around the world have recognized the capability of this advertising medium. The most important reason behind their success is that these giant inflatables ads do not seek attention, but seize it, thanks to their giant size. It is a much better way to bring your products and services in limelight in comparison to its counterparts. Besides promoting the business in a giant way these also prove to be cost-effective and attractive too. Promote your business the GIANT way with Advertising Inflatables. When you place giant inflatables outside your building, it no more remains a drab building that people pass by without paying any attention. Ads are particularly adored by kids, so even if the parents miss the ad by chance, which is a very rare possibility, kids make sure that their parents take a glance. Big giant inflatables ads, thus, can be a huge hit when placed in shopping malls or other places frequented by kids. For instance, if your store is located in a remote location or if you feel it is hard to find then, too, you can resort to these objects. All you need to do is set them up atop your building supported by helium light. As your logo soars high, you will witness a better turnover of customers even from several blocks away. Thus, these are quite practical options when it comes to promoting your business. 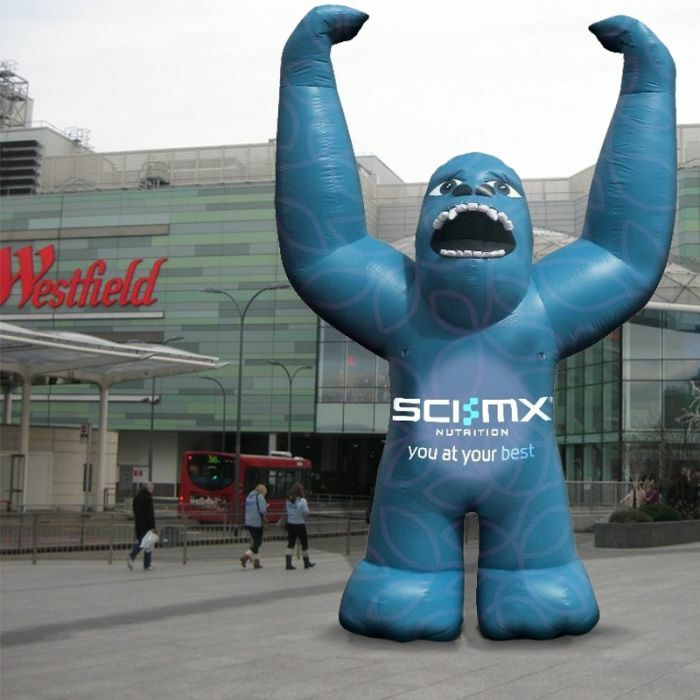 Even if you want to invite customers to a particular event you can resort to these inflatable. The best thing about these objects is that they are vibrant, easy to catch attention, entertaining and yet they would not make a hole in your pocket. Thus, both large and small companies can use them for promotional purposes. From a business perspective, these help in saving money which can be invested in other aspects of the business. Another reason why these are preferred is that you can use them during interesting events as well. Companies often organize events or competitions where a large section of both electronic and print media are also present. With your products in the shape of custom inflatables, who would not capture them on their lenses? Therefore, even without much effort, you can easily grab the attention of the media with our interesting marketing ploy. Inflatable objects generally come rolled and tied to keep them compact. First and foremost you need to determine the venue the object needs to be set up. Be very careful, as these objects are very heavy, hence, difficult to move. Make sure that the area has enough space. There shouldn't be any low branches around; the area should be clear of all sharp objects, like nails, broken glass, etc. Unroll the inflatable and unfold all the extra ramps, parts, arches and platforms that may be a part of the object. Organize the item exactly the way you want it to be positioned. Make sure that all the zippers and vents are closed. Find out the tube or tubes that extend outside the item and are used for attaching the blower or blowers. Attach the latter and make sure that they are securely connected and without any gaps, for air to escape through. Then, you need to plug the blower in and turn it on. Take a few steps back while the item gets inflated. Depending on the size of the inflatable ad, it may take anywhere between 10 to 20 minutes to achieve complete inflation. Once the item is totally inflated and firm, use hammer and stakes for nailing down the object in all the required areas. These generally have a looped strap or a D-ring on the edges of the object. You can find these in the mid-section and on the corners. However, make sure that all the straps are taut and that there is a bright ribbon or cone on all stakes so that no one trips over them. Enjoy the giant inflatables! This should be done by making sure that all the users are safe and sound. Also abide by all the restrictions regarding height, weight, and health that may have been given by a manufacturer or a rental company. Take down the item. At the end of the day, the time comes to turn off and disconnect the blower. Allow the item to deflate by opening and unzipping the vents. While the object gets deflated, you can take out all stakes. When the item gets fully deflated, fold all the extra parts, platforms, ramps, arches, etc. towards the center. Then take a long side of the item a third of the way in. Repeat the same on the other side. Now, you should be able to see the item's underside. Followed by this you can march or walk down each fold, so that extra air gets squeezed. Once you are sure that there's no air left inside the object, fold and roll it as tightly as possible and secure it with a ratchet strap. You are done! Setting up and taking down giant inflatables may be quite a task, but that gets paid in the form of attention that it gets your brand. So, if you are thinking big on outdoor marketing, inflatables are the way to go. Advertising through giant inflatable is truly a great way to reach out to a larger number of target customers.